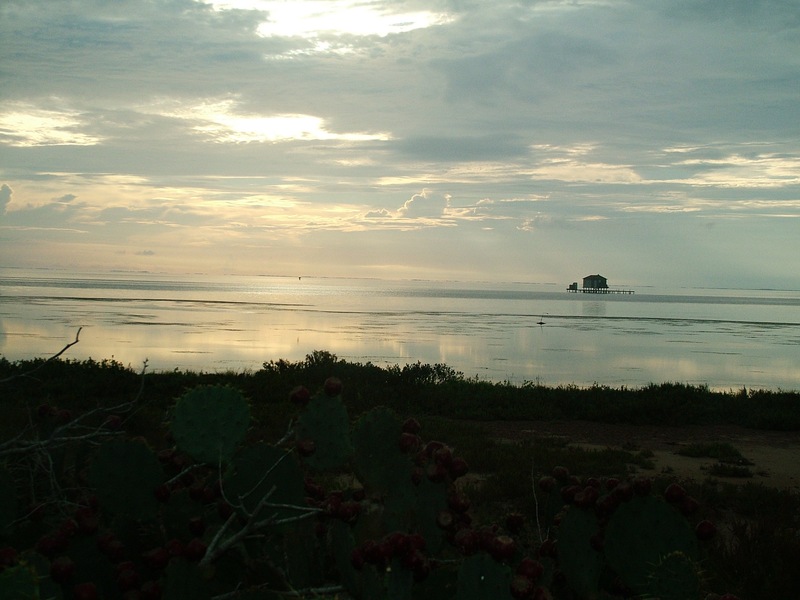 *The lower Laguna Madre is a vast hypersaline lagoon that is bordered on the north by the Land Cut (a channel dredged through the sand flats to join the lower Laguna to the upper Laguna Madre), to the east by Padre Island (the longest barrier island in the world), and on the west by the King Ranch and Laguna Atascosa National Wildlife Refuge. *The LLM is largely off limits to modern encroachment, and has a primitive beauty that is rare in today's world. *Within a 12-mile radius of Kingfisher, birders can sight 325 different species of birds. *The LLM is approximately 300 square miles in size, and about three fourths of it is virtually off limits to deep draft boats. 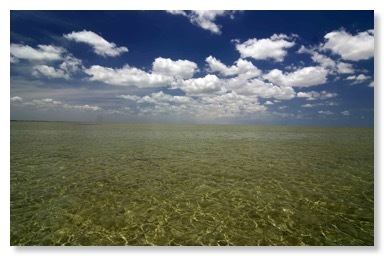 *It is the largest continuous shallow water flat in North America. 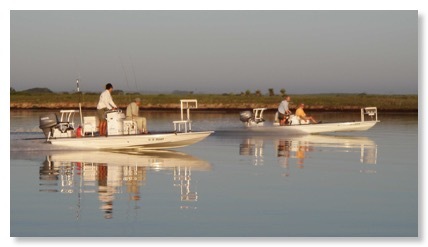 *The Laguna Madre was recently cited by Field and Stream (May 2002) as one of the top 10 places in the US to wet a line. *It has been referred to as the least pressured, and most available salt water fly fishery today. *It is the only true subtropical fishery in the continental US, except for south Florida. *It has an average depth of one foot, and a maximum depth of three feet. *The variety of venues includes grass-bottom lagoons and flats, and a vegetation-free flat called "the white sand," which resembles the Bahamas in its clarity and vastness. *The LLM is usually clear, and even in strong winds there are large areas that remain clear. *It is the only place in the world where you can frequently sight cast to world record spotted sea trout. Five out of seven of the current IGFA tippet class world records -- and the largest trout ever taken on a fly rod -- were caught on the LLM. *The species of catchable fish include the red drum (redfish), spotted sea trout (specked trout), black drum, sheepshead, tarpon, snook, ladyfish, jack crevalle, and flounder.